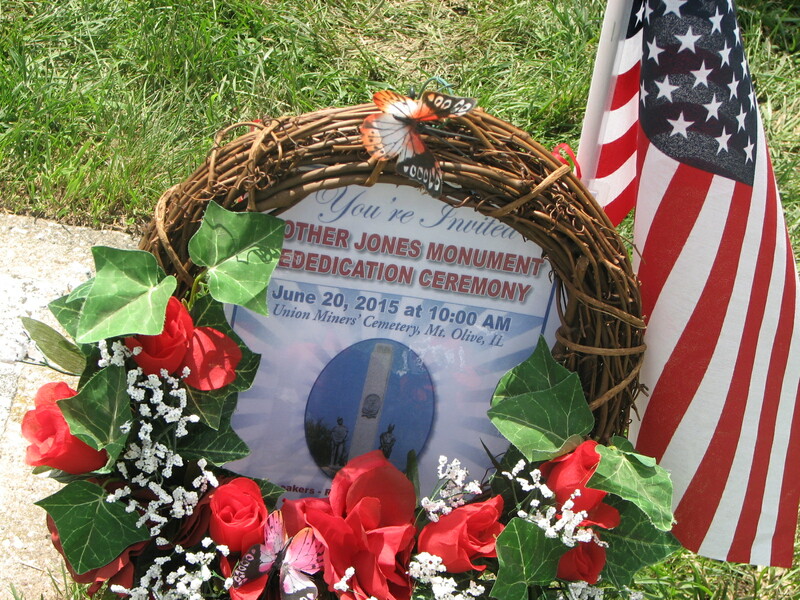 Mother Jones Monument rededicated June 20, 2015 Mount Olive, Illinois – the following report of the rededication at Mount Olive Miners Cemetery has been sent to the Cork Mother Jones Committee by Terry Reed , Field Services Director, of the Illinois Federation of Teachers www.ift-aft-org. 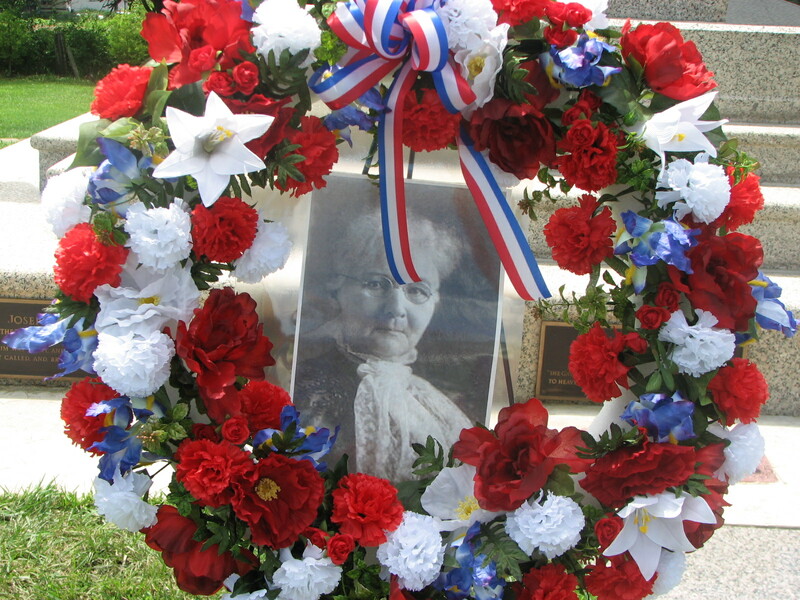 In the Union Miner’s cemetery lies the grave of Mary Harris “Mother” Jones. At the foot of a marble monument adorned with bronze statues of two miners and plaques commemorating fallen miners the simple head stone reads “Mother Jones”. 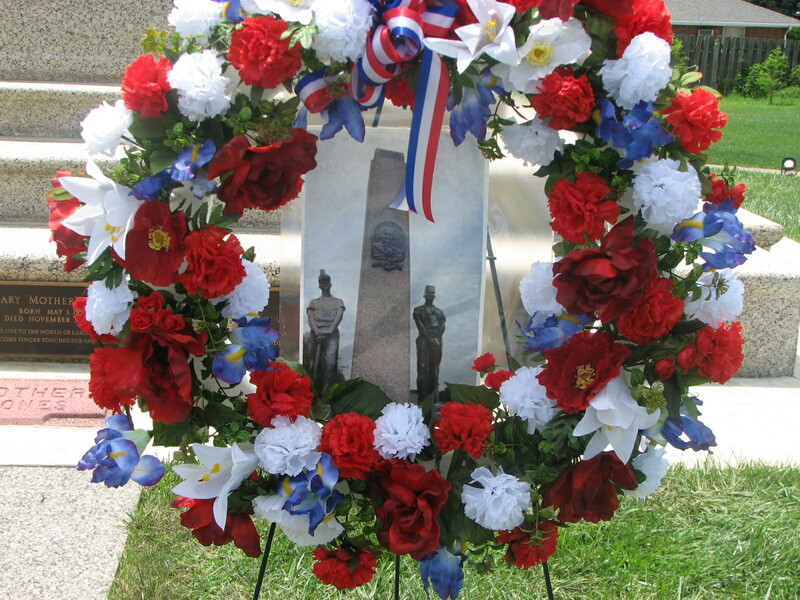 On this Saturday in June hundreds of good union men and women gathered together with community folk around the gravesite and monument. They listened to the songs of working men and women sung by Bucky Halker and Chris Vallilo. They listened to speeches from local officials and committee members, Michael Carrigan, President of the Illinois AFL-CIO and other union officials, an Illinois State Senator, an Illinois Congressman and a USA Senator from Illinois. 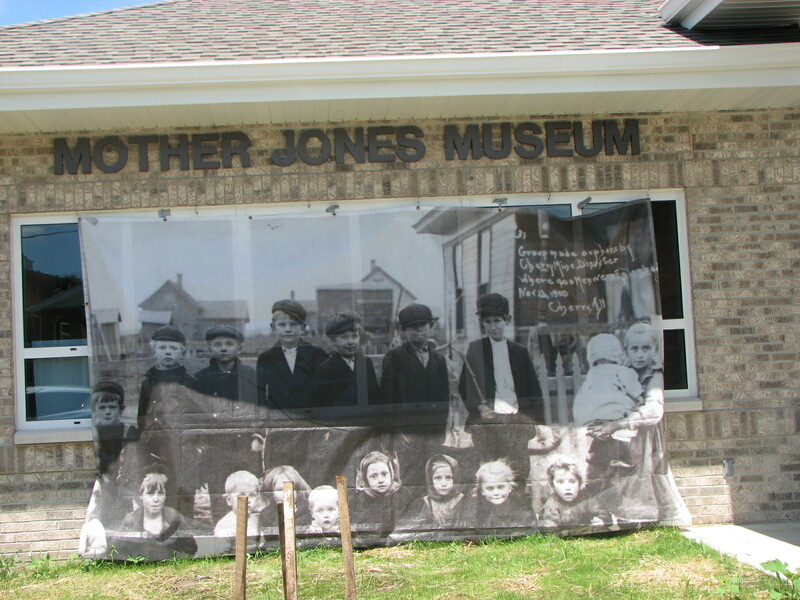 They watched as an actress, Margaret Orner, portrayed Mother Jones and breathed the words once spoken by the daughter of County Cork, Ireland. There was the obligatory prayer by a local clergy man that silenced the crowd as they bowed their heads. The grand finale had all in attendance circling the monument and grave joining hands while singing together the verses of the union anthem “Solidarity Forever”. Everyone admired the craftsmanship and work of the union hands that brought the 80 year old monument back to its original splendour. The stone and mortar restored, the bronze shiny as new and the once crumbling foundation sturdy and strong. 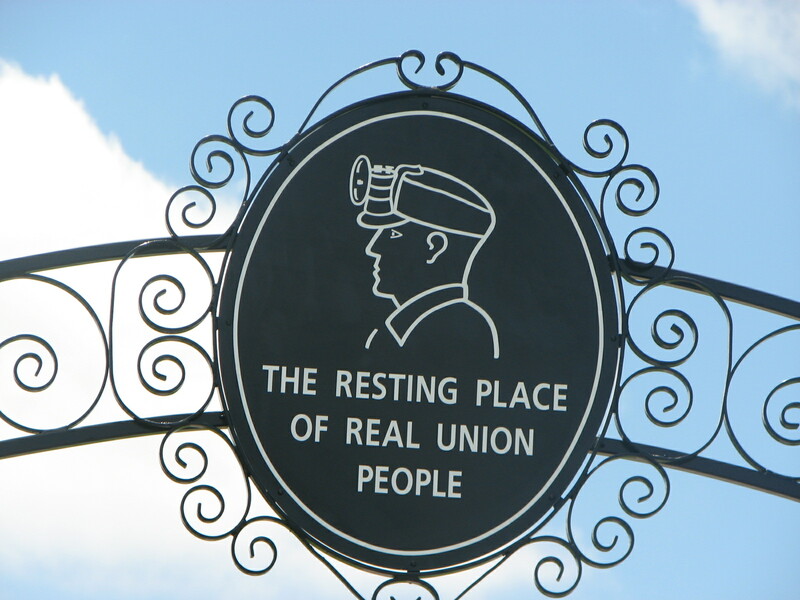 The gate at the entrance to the cemetery proudly displaying “The Resting Place of Real Union People” on its iron face plate looking as smart as it was when first erected. The many colored shirts displaying their union membership, Ironworkers, Steel workers, Electricians, Bricklayers and Stone Masons, Auto Workers, Laborers, Teachers, Government workers, Teamsters, Operating Engineers, Mine Workers, Painters all smiling and congratulating themselves. 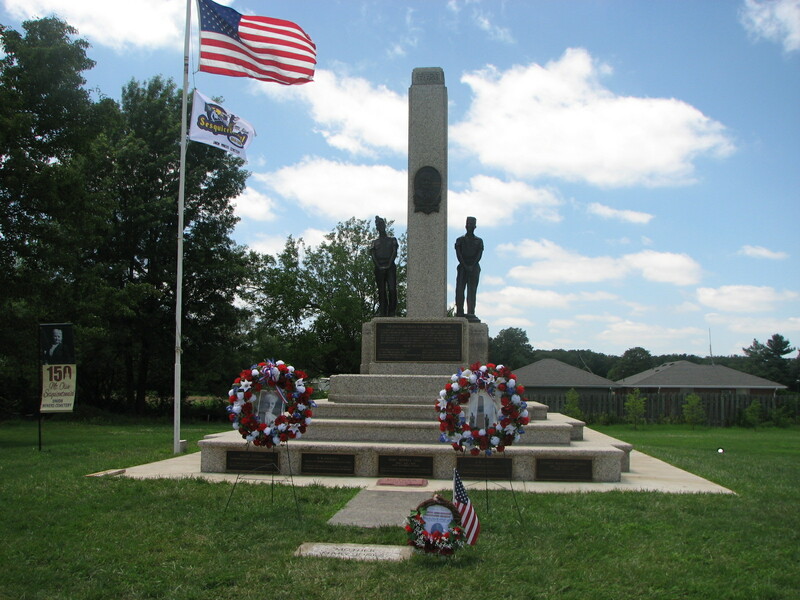 Proud of their coming together to insure that the monument and grave site will remain for at least another 80 years to be viewed and admired. But even more than the marble and bronze and iron that make up the monument they came this day to draw sustenance from the spirit and life of Mother Jones. As speaker after speaker so eloquently reminded them this rededication accomplishes nothing if it doesn’t inspire each and every one to draw from the words and actions of the courageous person it honors. Mary Harris “Mother” Jones spoke truth to power. She utilized her speech and pen to attack injustice and backed it up with her actions. She stood fearless before the bosses of Industry, Governors of states, and Judges in their Courtrooms. Even the President of a nation was not above her ire. She faced the guns of her would be oppressors and the jails they tried to use to stop her. And all the time she walked among the working families she championed. Organizing, educating and agitating them to action. It is Mother Jones they came to honor. It is her life lessons they hope to carry on in their battles against austerity and the attacks on the working class and their unions.